It’s not always easy to talk with someone dealing with Alzheimer’s disease or another form of dementia. Whether the person is a parent, spouse, friend or casual acquaintance, you may not know exactly how to go about communicating. 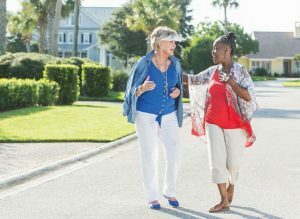 The fact that cognitive impairment changes all the time means that the person’s ability to interact with you—verbally, socially, personally—might be quite different from one visit to the next. Degenerative brain diseases are just that: degenerative. So you have to be ready to adapt to whatever the person’s cognitive reality is on any given day. Still, there are a few ways to smooth the process for both of you. Simply tailor the tips below to suit your relationship, the situation and the stage where the person is on his or her journey. And don’t forget to listen to your instincts—they usually have a lot of valuable things to say! DO introduce yourself to him or her at the start of each conversation. This relieves the person of the burden of remembering your name or recalling the nature of your relationship. Some examples: “Hey, Mom. It’s Jonathan. You’re looking beautiful as always this morning.” Or, “Hi, Louise. It’s Nancy from next door. Everyone in the neighborhood asked me to say hello to you.” Even if she responds by saying, “Of course I know who you are,” beginning each interaction with a quick, casual reminder means she won’t have to strain to remember you and can focus more on the fact that you’re there. DON’T speak to him or her like a child. This person is an adult. Use a tone of voice that is always respectful and never patronizing. DO be prepared for the conversation to be unpredictable. You might end up doing more of the talking—especially if he or she is experiencing aphasia (difficulty with speech and language that is a symptom of some forms of dementia). Or you may find that he or she picks up on a topical thread and takes it in a completely different direction than what makes logical sense to you. The key is to be a flexible and accommodating conversationalist. DO follow his or her lead about how—if at all—to interact. For some people with memory issues, engaging in conversation is just too much work and a source of stress. Watch for clues about whether he or she is enjoying the interaction and adapt accordingly. Opt to do most of the talking yourself, change the subject altogether, offer to take the person outside for fresh air, shift to a non-verbal activity or be comfortable with the idea of simply sitting together in silence. DON’T use complex or flowery language. DO express warmth. 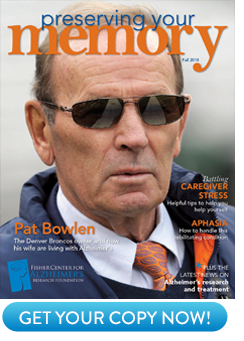 Studies have shown that an individual with cognitive impairment retains emotional recognition well past the time when his or her memories fade. So even if he or she doesn’t fully grasp who you are or track what you’re talking about, the person will likely understand that you are important to her on an emotional level. So worry less about what you say to him or her; focus instead on how you are with him or her. Being kind and affectionate can be the greatest gift you can give. DON’T lose your patience. Attempting conversation with a person experiencing dementia can be frustrating and emotionally draining, particularly if you’re grieving the loss of the cognitively healthy individual he or she once was. Embrace the repetition, the potential boredom, the occasionally taxing nature of the situation and try to find the beauty in the interaction. Don’t be afraid to use simple humor as a way of lightening the mood. DO turn to music as a way to connect—music has a different pathway to the brain. Even if a person struggles with short-term memory and day-to-day functions, he or she may have impressive recall when it comes to the melodies and lyrics of her favorite songs. In fact, playing familiar music has been shown to reduce stress in dementia patients. Experiment by playing different tunes from his or her past and see what seems to inspire the person. DON’T forget to ask yourself how you would want to be treated if the situation were reversed. Talk to him or her with the same kindness, respect and compassion that you would desire.